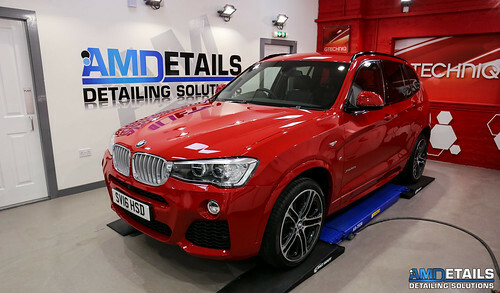 BMW X3 M Sport in for a Gtechniq Single Stage Detail with Gtechniq Crystal Serum and EXO V2. This BMW X3 came in to on a referral from a previous customer after seeing the benefits that the Gtechniq Coatings offer. The Single Stage Detail helps to remove any defects during the manufacturing process or during dealership prep. Then after Gtechniq Panel Wipe the conditions are perfect for the application of Gtechniq Crystal Serum – Professional only coating. AMDetails are the Gtechniq accredited detailers for The Highlands and Aberdeenshire. 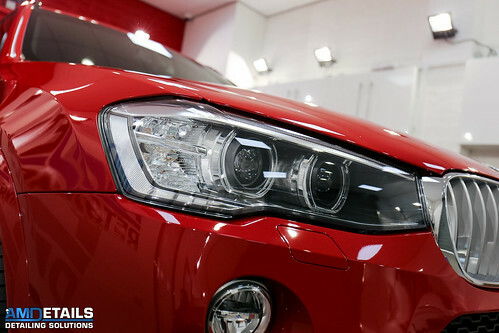 After the Single Stage Detail the BMW X3 was then protected with Gtechniq Coatings. Such a fantastic colour. The red has a blue pop flake in it which is purple at times. Love receiving customers due to word of mouth and referrals in my opinion this is the best advertising possible for any company. Great spec on this BMW X3 a future Medcraf purchase maybe? VW T5 Single Stage – Gtechniq Crystal Serum Light.